Tri-weekly round up for June 14, 2015! Dorie made this lovely triangle quilt for the umbrella prints trimmings contests inspired by both Sherri Lynn Wood's and Lynn Harris's books. 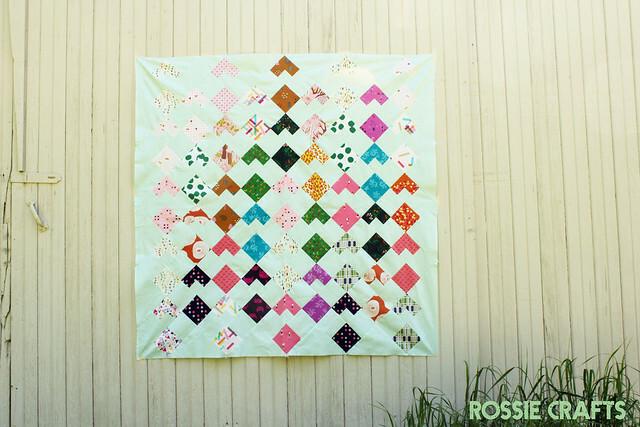 Pam also has a neat tutorial on doing a square within a square block. And I have been making clothes for children and more clothes for children. We had another successful Munch and Mingle before the meeting. I still need a few people to sign up for summer snack/drink duties. 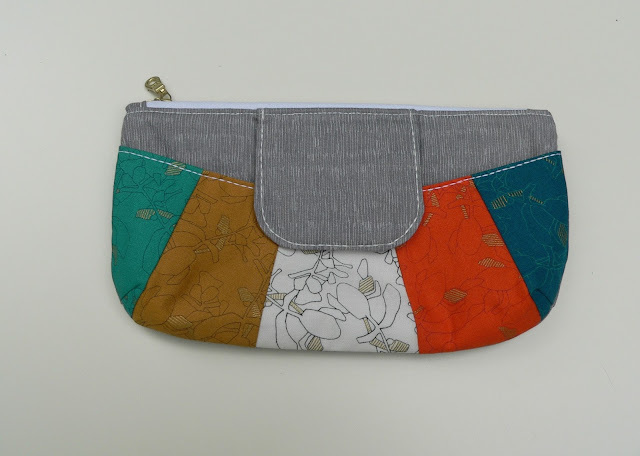 If you're interested, email Hayley (hayleysews at gmail dot com). Lots of people brought their new nametags to the meeting! If you haven't made one, try to do so by the next meeting. Our summer retreat is July 30-August 2 at Hankerd Inn. Check your email for more information on pricing and how to sign up. We are in need of a retreat coordinator! If you are interested, let us know. Ginia is currently taking over as a temporary coordinator. 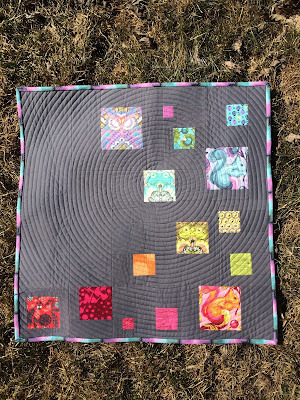 Charity auctions for the quiltcon quilts will start soon. You will receive an email with more information when that occurs. I just need to take pictures and upload them to eBay. 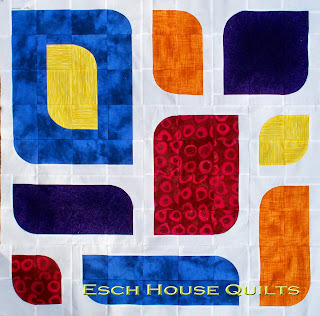 We are donating the proceeds of one quilt to Ozone House and the other quilt's proceeds will go to Food Gatherers. We are still looking for sew-in locations. 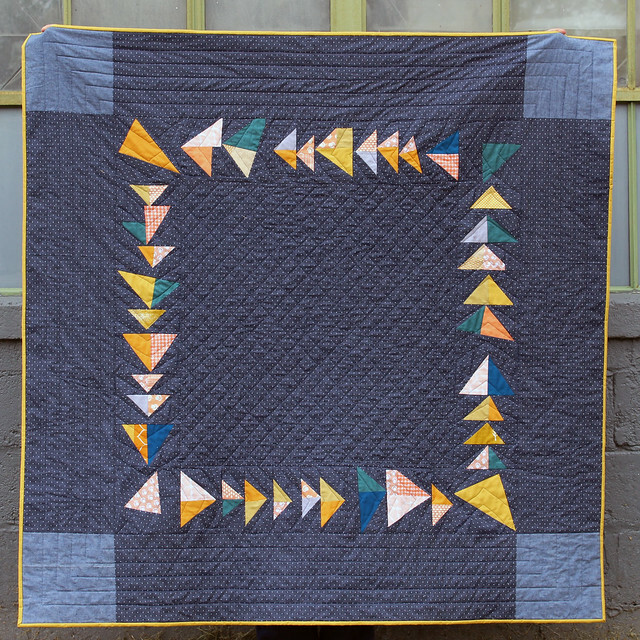 The class catalog for QuiltCon 2016 in Pasadena was emailed to all MQG members! If you are not receiving MQG emails, contact Jackie Mills. 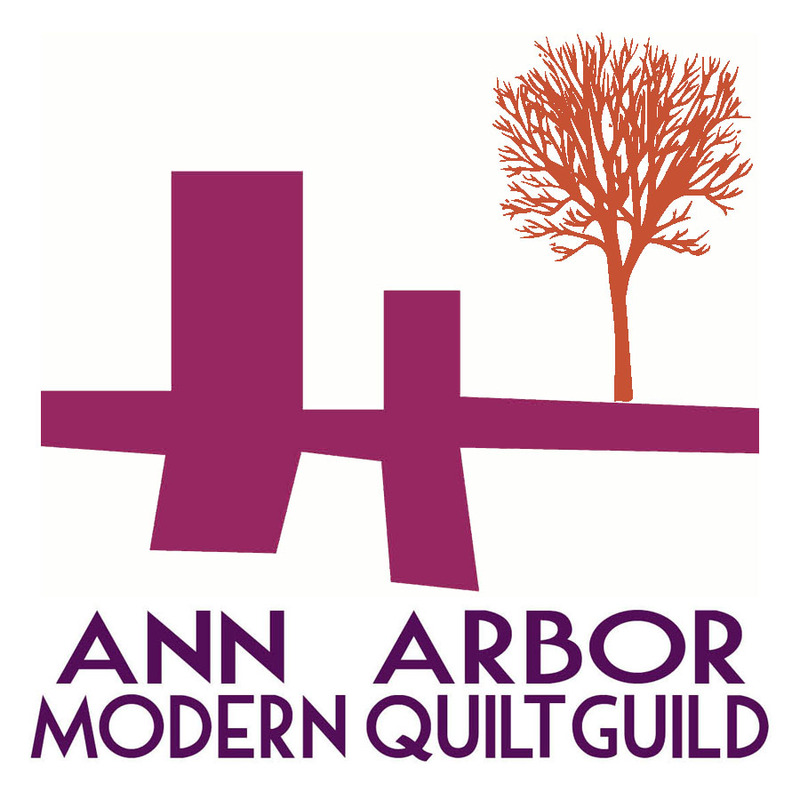 The 2016 QuiltCon charity challenge sign ups close July 30, so we will discuss this more and sign up at the June meeting. 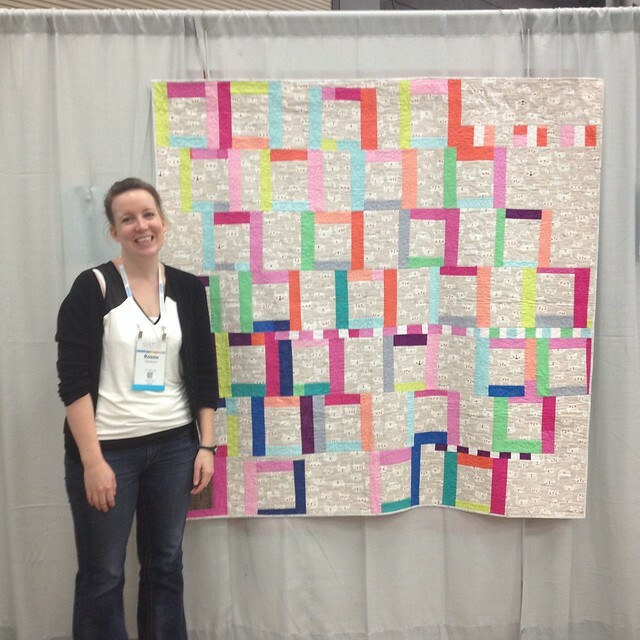 We will probably make two different quilts again this year if the participation is the same. This month, we got to see quilts made by Ann Dilcher. She had some really lovely looking quilts! Next month, we will spotlight Pam Lincoln. 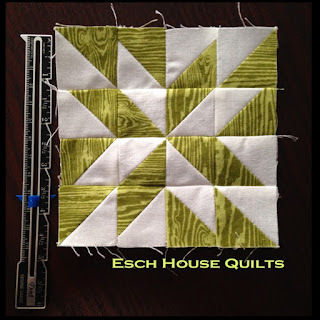 I saw this method on "Fons and Porter, Love of Quilting" a TV show on PBS. As far as I can tell, it is not available on-line and they do not offer on-line streaming. I'll try to put together a post on my blog this weekend and let you know. The formula that I worked out is as follows using the desired FINISHED block size. The size I demonstrated was for a 4" x 2'' block. I started with one 5.25" block and four 3" blocks. If you wanted to make a 6" x 3" block, start with a large square of 7.25" and four squares of 4". For a 12" x 6" block, start with a large square of 13.25" and four 7" squares. 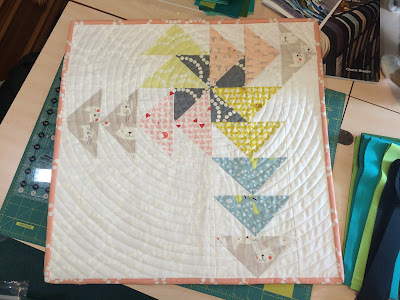 We also got to see the progress on lots of Round Robin quilts. And that's when my phone died! Hope to see you all at June's meeting! !